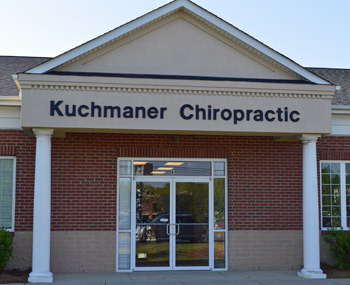 At Kuchmaner Chiropractic, our team is well-versed in delivering outstanding health care. If you’ve been in an auto accident, this unique type of injury requires immediate attention from a trained professional. Dr. Kuchmaner, over his many years in practice, has helped thousands people, including his own family members, regain their health after a car crash. Why should I seek chiropractic after an auto accident? Dr. Kuchmaner can ensure that your body heals properly and completely to the best of your abilities. What happens to the body during an accident? The trauma inflicted on your body affects tissues, muscles, tendons and joints. Your nervous system is interfered with as a result of these injuries, which results in pain, swelling and other symptoms. Some people feel the effects of a car accident immediately, while others may not feel anything for weeks or months. What happens if I don’t seek treatment? If you choose not to be checked by a chiropractor, you may be facing long-term or permanent injury. Some of the ongoing effects of a car collision can be headaches, neck pain, back pain, shoulder issues and radiating pain, among others. If your nervous system is compromised, there will be consequences. Though medicine may have a place in your treatment, options such as medication or exercises and rest won’t allow your body to heal completely. It may alleviate your symptoms, but you must make sure any issues are corrected early. First, Dr. Kuchmaner will begin a thorough evaluation process. Through these procedures, we’ll locate the cause of your problem. Once that root has been identified, we will work toward correction through chiropractic adjustments, meridian therapy or any other solutions that are suitable for your case. Once we begin working with you, we’ll put you on a treatment plan and see you as often as is suitable for your case. The average accident recovery times takes weeks or months. Everyone responds differently, so please understand that your body may need time to heal correctly. We are happy to work with MedPay, attorneys or third-party insurance companies. Should I bring anything with me to my appointment? We ask that you bring as much information as you can, including insurance information, a police report or your attorney’s information. Can you work with my medical doctor? We will work with any health care professional that you see to co-manage your case and make sure you receive the care that you need. We can also refer you out as appropriate if you require further diagnostic testing or need to see a specialist. Recover your well-being. Contact us today to get started! Complimentary consultations are available so that you can find out how we can help you.